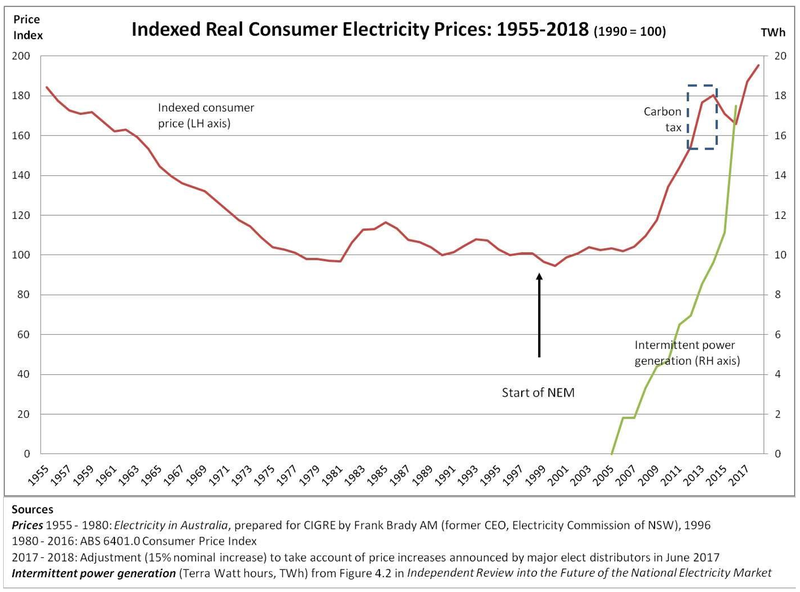 Thanks to an obsession with wind and solar Australians now pay retail power prices among the highest in the world. The wind and solar capital, South Australia suffers the highest, bar none. The reasons it got that way are hardly a mystery. Dr Michael Crawford’s graphic should help the uninitiated. The staggering cost of the subsidies is born by power consumers, and so is the enormous cost of the chaos delivered in the market place whenever the sun sets and/or calm weather sets in. This is a Country that was once renowned as an energy superpower. Now its people are virtually energy paupers. How it got that way is a travesty. Indeed, as Alan Moran puts it, the causes and consequences of Australia’s renewable energy policies are utterly diabolical.